I wrote last week about how to have your iPhone read Kindle books to you. But some people seemed to have reservations about listening to books in general. And from some past interactions I have learned that some people are outright critical of listening to audiobooks at all, even well-produced ones. For some, listening to a book is just not as dignified as reading with one’s eyes. Others contend that it is simply not possible to consume information as well aurally as visually. Still, others note that books simply are not made to be listened to, therefore something is lost when books are brought into an auditory medium. I am convinced, however, that Christian audiobooks are a fine medium for information consumption, and I’ll give a couple reasons why. There is a reason I am such an advocate for the audiobook medium. I worked as a janitor for some years to help pay for college. But emptying trash bins and vacuuming carpets alone at night was not as exciting as it sounds. In fact, it could be downright boring. You only need to drop your book in the toilet so many times to realize that custodial work is essentially reading-prohibitive. I tried listening to music, but that quickly became monotonous, as it did not sufficiently engage the mind. So, one day before work I loaded up my iPod classic with a bunch of sermons and audiobooks. The night flew by. I was hooked. By the end of my custodial career, my attention span had increased enough that I was taking in 6-8 hours of non-fiction books and sermons a night, some even playing at double speed. I had the highest level memberships with both Christian Audio and Audible . I actually looked forward to dusting desks and mopping men’s rooms. I learned a lot from Christian audiobooks. I would say my own interest in theology was not only kindled but fanned into flame during this period of my life. And this was thanks, in large part, to audiobooks. With the benefit I have derived from listening to books, I have a hard time taking seriously complaints against the format. But if your book snobbery is not adequately squashed by a personal anecdote from a stranger on the internet, allow me to offer some supporting arguments. Why should you listen to books being read to you? How about THE ENTIRE HISTORY OF THE WORLD? Before the advent of the movable type printing press around 1450, average people, the world over, had very limited access to the written word. Illiteracy was the norm. What did these folks do? How did they learn? They listened. And guess what, they retained information. In fact, again and again, researchers are astounded by the remarkable recall of information by illiterate peoples. I’m no advocate for illiteracy (no one is? ), but it is simply untrue that auditory learning results in a lower recall. Visual reading may have the edge when it comes to deep study, but we need to acknowledge that both have pros and cons. We also need to realize that they are not mutually exclusive. Reading, when it was accessible, was understood as something to be done for the profit of others, as well as one’s self. The biblical words for “read” imply as much. The Hebrew קרא, and the Greek ἀναγινώσκω suggest reading aloud. In ancient times it was considered remarkable if someone could (or even would) read silently to themselves. Augustine of Hippo once marveled at Ambrose’s ability to read silently to himself, suggesting that he did so when he wanted to avoid visitors coming to listen as he read.1)Alberto Manguel, Chapter 2 of A History of Reading (New York: Viking, 1996). This point is that reading has not always been a silent solitary act, but something that was shared aloud. Getting more Christiany, a similar historical argument for the propriety of audiobooks can be made from Church history. From New Testament times through Guttenberg, personal Bibles were not available to the masses, so believers listened to the Scriptures being read (Col 4:16). They learned and they grew in Christ. We are certainly blessed today to have personal Bibles we can read alone, but that doesn’t mean there isn’t something still to be gained from listening to the Word read. Consider Revelation 1:3, “Blessed is he who reads and those who hear the words of the prophecy, and heed the things which are written in it; for the time is near.” The blessing is for the one who reads aloud, and for those who listen to it. Want a blessing? Maybe get an audio Bible and have it read Revelation to you. This is another reason, by the way, that it is important to have Scripture reading be part of your church service (1 Timothy 4:13). Listening to the written word is important, especially the written Word of God. You want to be like Spurgeon, don’t you? He was the Prince of Preachers, man! Yeah. You definitely want to be like Spurgeon. Did you know old Charlie Spurgeon listened to audiobooks? I mentioned last week that Mrs. Spurgeon would often sit and read to him in the evenings. This included Christian poetry, the Scriptures, and he even had her read aloud from his commentaries while he took notes for his sermons. What a gal! Now, you tell me, what is the difference between that and an audiobook? Well, besides that your audiobook won’t keep you warm at night. Disclaimer: Audiobooks are not a substitute for marriage. 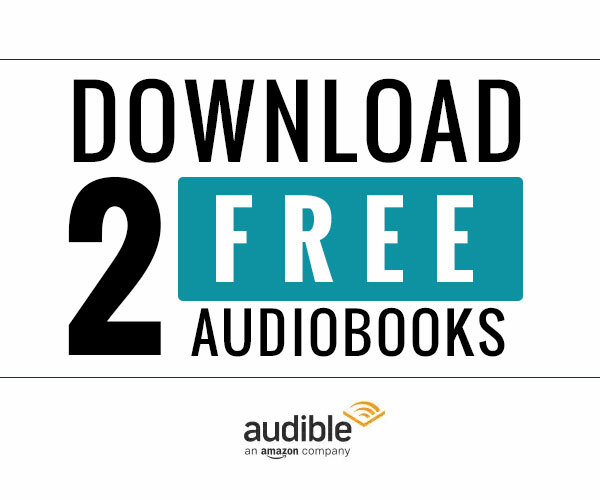 The point is this: If you want to be like Charles Spurgeon, listen to audiobooks. You can start by listening to his autobiography. Now, I am not saying audiobooks are superior to print. But I am arguing that we need to get off of our high horses and redeem the time wherever we can, and a great way to do that is by listening to audiobooks. If you have any other thoughts for or against audiobooks, feel free to comment. 1. ↑ Alberto Manguel, Chapter 2 of A History of Reading (New York: Viking, 1996).